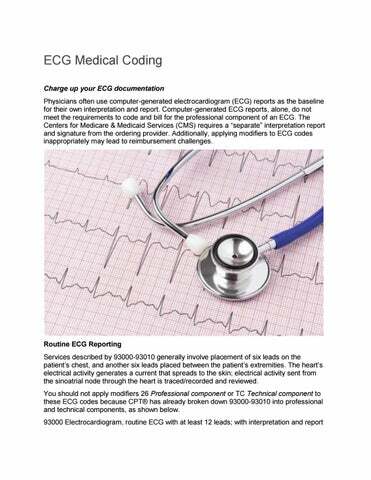 ECG Medical Coding Charge up your ECG documentation Physicians often use computer-generated electrocardiogram (ECG) reports as the baseline for their own interpretation and report. Computer-generated ECG reports, alone, do not meet the requirements to code and bill for the professional component of an ECG. The Centers for Medicare & Medicaid Services (CMS) requires a “separate” interpretation report and signature from the ordering provider. Additionally, applying modifiers to ECG codes inappropriately may lead to reimbursement challenges. 93005 Electrocardiogram, routine ECG with at least 12 leads, tracing only, without interpretation and report. 93010 Electrocardiogram, routine ECG with at least 12 leads, interpretation and report only. 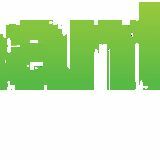 Our team will assist you in overcoming all possible challenges in the overall medical coding process. Dial +1 442 200 6166 for more details.